We looked at the top 1 Packing Cubes and dug through the reviews from 5 of the most popular review sites including Wanderlust Storytellers, Travel Gear Zone, Land Of The Traveler, Road Affair and more. Through this analysis, we've determined the best Packing Cube you should buy. In our analysis of 62 expert reviews, the Bagail Bagail 4-Piece Packing Cubes placed 5th when we looked at the top 10 products in the category. For the full ranking, see below. 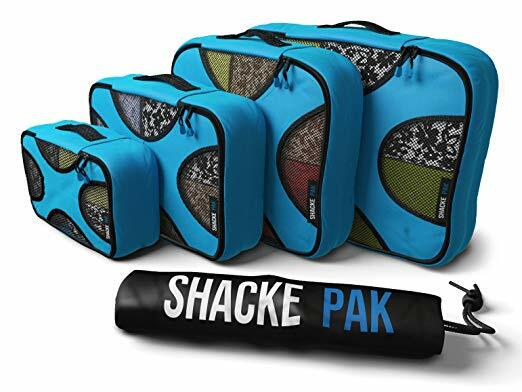 This four-piece set can be found at Amazon for a few bucks less than our value pick, and, just like the four-piece set from Shacke, the Bagail comes with a laundry bag. This is an essential feature as it helps users keep the dirty laundry away from the clean pieces. In addition to the four cubes, you have a choice of a laundry bag or a toiletry bag. Some users complained that the zippers are not as sturdy as claimed by the manufacturers and easily come undone after only a couple of usages.